Don here, telling you how to make Caesar Salad Dressing. Lois and I love Caesar Salad. It’s an easy salad to make. My sister-in-law, Judy Fowler, taught me how to make an amazing Caesar Salad Dressing years ago. The hardest thing is getting the correct portion of garlic in it. FYI, my recipe doesn’t call for whole Anchovies or Anchovy Paste, and if you like them, then this recipe isn’t for you. But this Caesar Salad Dressing is absolutely delicious. Step 1: Mix the garlic and the salt. 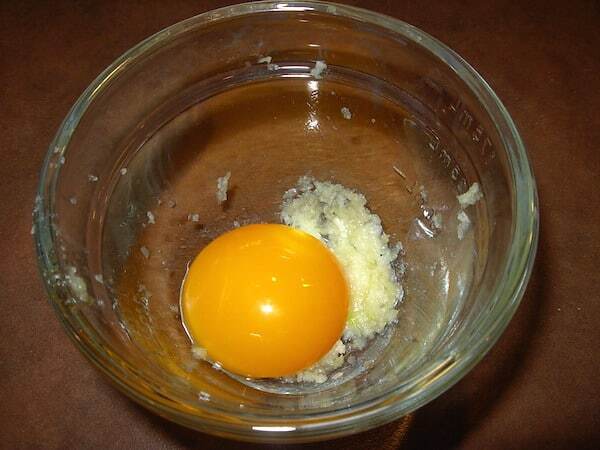 Step 2: Add the egg yolk. Whisk until smooth. Step 3: Whisk in the lemon and olive oil. Step 4: Add a little pepper (if desired) and blend. Step 5: Dress the salad. 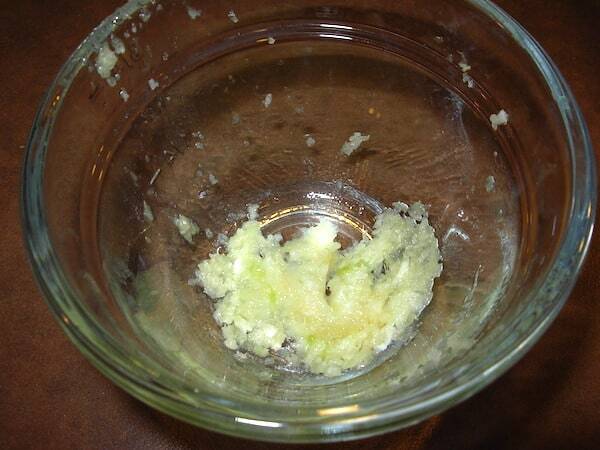 In a small bowl using the back of a spoon work the salt into the garlic. 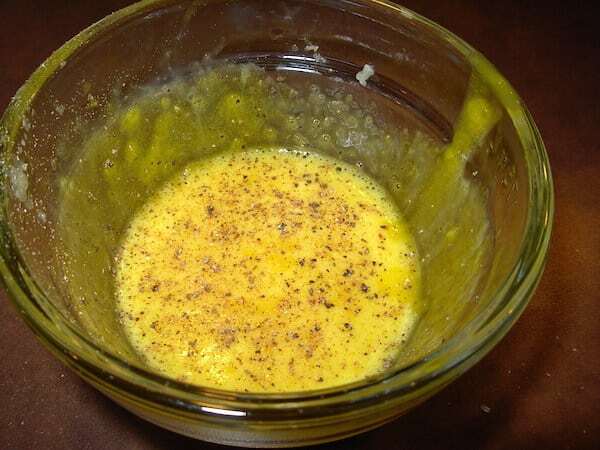 Blend the egg yolk in until the mixture is smooth. 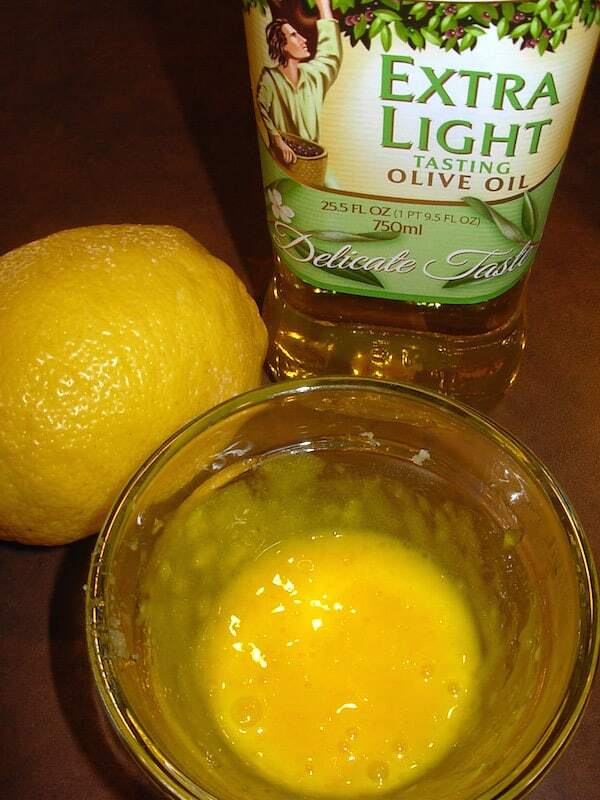 Add the olive oil a little at a time until the dressing is the consistency of mayonnaise. Stir in the lemon juice. And add freshly ground pepper if you wish. 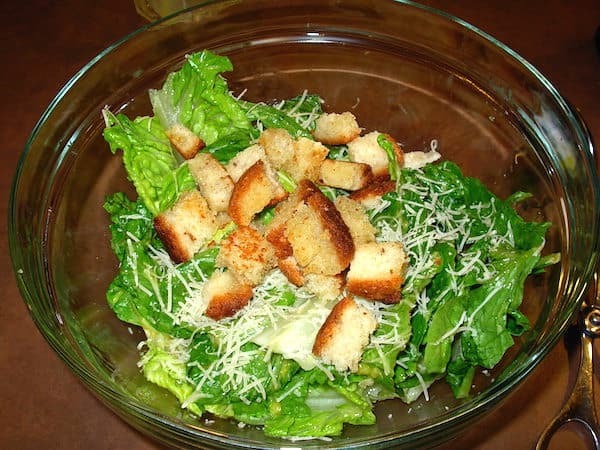 Use this dressing over Romaine lettuce for a complete [url href=”https://recipeideashop.com/caesar-salad/”]Caesar Salad[/url]. Caesar Salad Dressing Nutrition Label. Each serving is about 2 tablespoons.